I was recently introduced to the term “walking simulator.” This phrase refers to games like Gone Home, Firewatch and Everybody’s Gone to the Rapture, where the player walks around a beautifully crafted environment and absorbs the story all around them through interacting, reading, and listening. 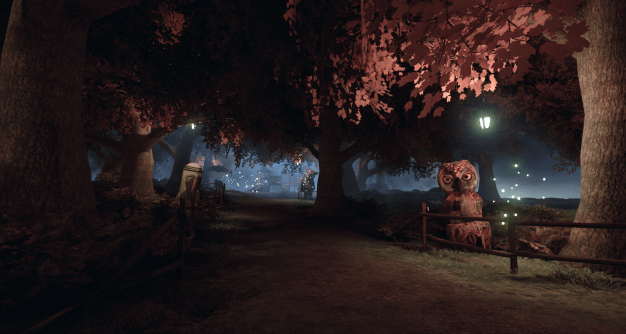 On face value, Empathy: Path of Whispers falls into the same genre, which is becoming increasingly popular as game developers begin to move away from action and conflict-based titles and return to story-driven games. I wanted to like Empathy, I really did. However, too many niggly bits of gameplay got in the way of what may have otherwise been a pretty enjoyable foray into the world of exploration games. In Empathy, players take the role of a child being led to safety by an adult’s voice. 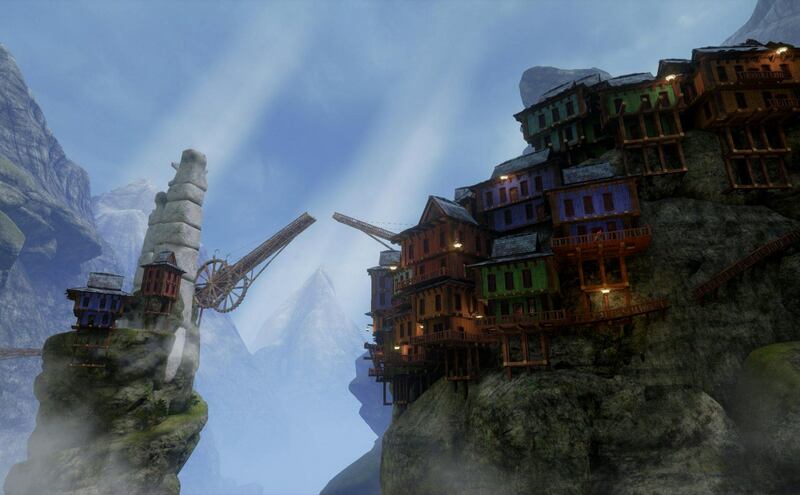 The player explores the world, trying to restore its lost balance, as they journey through its past. 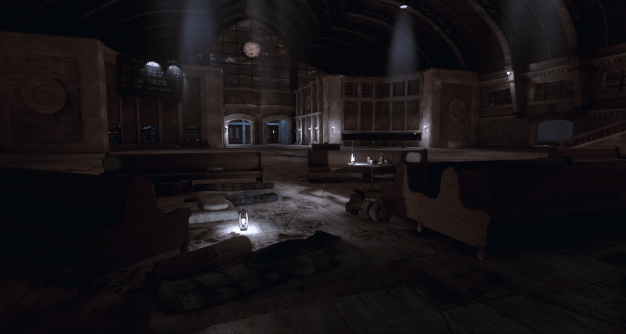 Similarly to Everybody’s Gone to the Rapture, players find themselves in a world created from people’s memories and emotions which can be manipulated and explored. The lost memories are the key to rebuilding the crumbling world back to its former state, discovering its mysterious past and halting an impending apocalypse. Empathy is extremely story-driven. 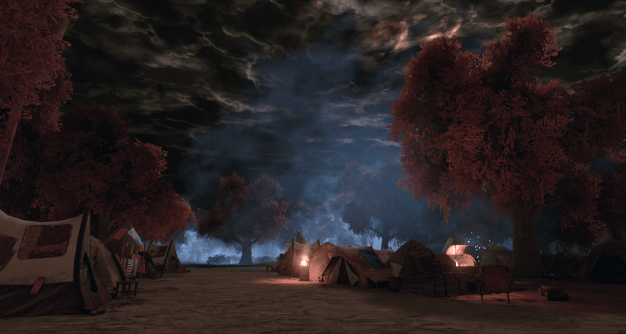 It encourages the player to explore and gain an understanding of the weird world through which they are traveling. Let’s do Empathy a kindness and start with graphics. The graphics, and the atmosphere created by the graphics in conjunction with the fairly tame soundtrack, tell a story all on their own. The eerie darkness and abandoned, ruined buildings and encampments contrast beautifully with autumnal colors in the trees and fireflies flitting around in groups here and there. There is a lot of vivid color mixed with deep, sombre greys and black. Everything looks nice, and feels inviting, like it wants you to run around and explore it. The environments have very clearly been lovingly crafted for a very specific purpose. 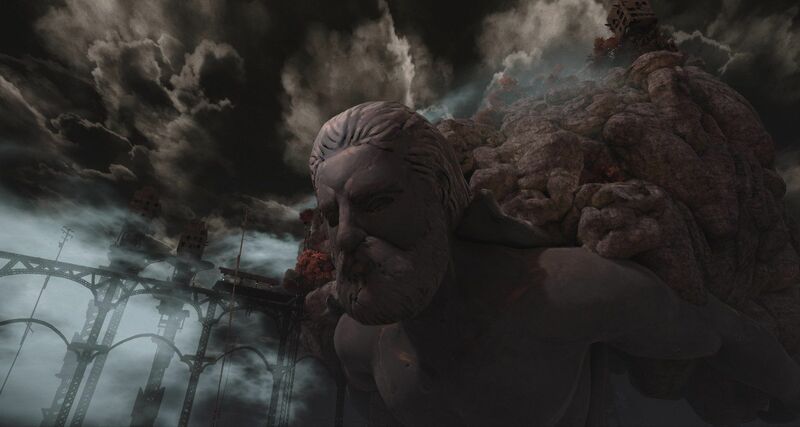 The first area you properly explore in the game has a gigantic godly bust jutting out of a mountain across a grey backdrop and it looks spectacular. Whoever was in charge of set design over at Pixel Night really knew what they were doing and had a very specific idea of how they wanted everything to look, and it shows. If Empathy wasn’t billed as a no-conflict sort of game, I’d actually be on edge most of the time purely from the environment. You’re alone all of the time and the environments, while breathtaking and beautiful, are truly eerie. My general summary of Empathy’s visuals would be: Bleak yet aesthetically pleasing. Unfortunately, the audio department was one of the first things to let me down in Empathy. I understand that this is an indie title and not everything about the game can be perfect, but the voice acting is absolutely atrocious. The voices have been properly recorded, and the sound is crisp and clean, but the actual voice actors sound extremely unsure of themselves. The quality of the voice acting is amateur level at best, and it wouldn’t matter as much if this was limited to the characters featured only in the whispers, but the main adult talking you through the story isn’t much better. He speeds through his lines and sounds like he’s still reading very closely from the script. When this character makes a joke (even a corny one), he doesn’t fully own it and seems to be trying to rush through it like it never happened, and not in a funny way. Considering that the game’s story-heavy nature and the reliance on voices in the whispers, a key game mechanic, it’s kind of sad to have this impact the enjoyability of the game to such an extent. Empathy‘s soundtrack – composed by Nicolai Patricio and available as a free download if you have the base game – is quite good; the score is pretty and rises up and drops again with a moment’s notice, to great effect. Most of the time, there are only ambient sounds like a river bubbling and crows cawing in the distance, and all of these sounds are very realistic and ring clearly through the background of silence and white noise. When the music does pick up at a key story point, it’s appropriate for said point in the game and, while not memorable, is of consistently good quality. However, there is one sound effect that sounds like it should be coming from the radar. It seemed to line up with me bringing up the radar and seeing the outline of a memento. I figured that the sound meant that I was getting closer to the memento by moving in my current direction, and many times it led me astray. I only realized that I was wrong when I heard the sound at a random time when I didn’t have the radar up. This is more of a personal gripe than anything, but it definitely caused some confusion. Ah, gameplay – the core part of, well, all games. Unfortunately, this is where it all fell apart proper. I’m going to split this section into Attempt 1 and Attempt 2, for reasons which will soon become apparent. My first attempt at Empathy: Path of Whispers took 1 hour and 40 minutes. I was thrown into the game and it was unlike anything I had ever played before. I actually quite enjoyed the mechanic of finding mementos and either unleashing audio memories or creating tangible objects to use. I also enjoyed the way you would play a little radar mini-game whenever you found a new memento where you had to adjust the size and position of the wave on the monitor until it clicked into place in a satisfying way. I even liked using the little arrows on the radar to find said mementos…for a time. In Empathy, there’s a lot of traveling up and down through the environments. They’re all interconnected – for example, going up a set of stairs can lead to a higher level where there is a house with a basement that goes down two levels. The radar gives no indication of whether the memento you’re approaching, when it becomes a glowing green shape instead of an arrow (presumably indicating that you’re close to it), is on the same level as you or not. I’ve encountered maps and radars similar to this in other games and had I not been playing the game for a review, I probably would have given up much earlier. I realize that it’s probably meant to be much easier than this and it may just be my own personal failing, but going up and down the levels over and over, searching in vain for a glowing item that may or may not actually be nearby was downright infuriating. The next criticism is both a petty, unrealistic one and also a very, very basic one that I think should have been fixed up during alpha or beta testing: fall “damage”. You can’t actually die while playing Empathy, but you can white out and be instantly transported back to where you fell from – that’s fine. You also can’t just fling yourself off a cliff face on one level to get down to another level two stories down or just slide down the side of a mountain – that’s also fine. You’re technically a child, so it wouldn’t make sense for you to just fall off edges like that. That being said, I was repeatedly “returned to sender” from a mere meter off the ground multiple times. I appreciate it when games encourage a semblance of realism on occasion, like cool down on running, even when it’s annoying. However, even the wimpiest child could have easily landed some of the jumps I was making, and it made the game really unnecessarily restrictive. Also, I still think that a damage meter and fall damage would have drastically improved the game’s quality of life rating rather than simply not allowing me to test the reasonable boundaries of the game. Being returned to my origin point a few times almost had me stuck in random places I didn’t want to be in. This brings me to my next point about the almighty glitch, which may have been rectified in a recent patch. I somehow fandangled my way between a fence and a rock at one point and simply could not get back out. No amount of jumping allowed it. There is also no manual save/load function, no reload checkpoint function, and had I not tried again, I would have been completely stuck there and needed to restart the game. Given that the game wasn’t an early access title and that quite a few other reviewers at that point had encountered the same gamebreaking bug, it was pretty bad. I will give points to the developer, who is very active in the Steam community and was basically spot-fixing this bug as it cropped up and offering to fix player saves so that they could continue. Apparently giving Empathy a few days to cool off was all it needed, because when I returned with the intent to start a fresh game, I quickly checked my stuck state in my last save. Turns out I was able to jump out (I have to assume this was the result of a patch) and I was overjoyed, because the storyline was starting to pick up at that point and I was keen to keep going. The thing about Empathy, though, is that if you don’t find all the story progression mementos, you can’t move on to the next bit of storyline. I was back to searching for the three mementos I was having trouble with during Attempt #1 with the radar that was slowly driving me insane. Ultimately, I gave up because, while the storyline was trying to pull me in and was winning, I couldn’t look past how annoying the radar was for me to use. I will sheepishly admit that I tried to find one of the few full video walkthroughs available online to see if I could squeeze past the mementos that were giving me trouble. However, given that the person in the video clearly knew what they were doing and didn’t use the radar once, it was ultimately unhelpful. Another gamer with more tolerance, or a better understanding of this type of mechanic may have a better time than I did, but at 2 hours and 30 minutes in, I made my peace with Empathy and quit. 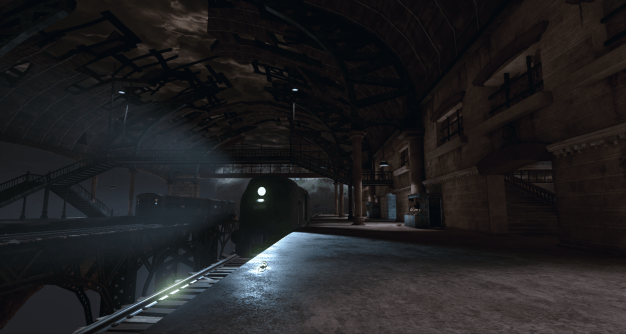 I am legitimately furious that I couldn’t give Empathy: Path of Whispers the kind of review it deserves; a story-driven game deserves to be played in full before being reviewed, and I just couldn’t go on. As I said before, someone with a better knack for understanding radar maps like the one used in Empathy (and yes, I know it looks terribly easy to use, but I had so much trouble with it) might be able to unlock the secrets of the game and experience the story as intended. While I’m not sure if the bug I experienced is still persisting, it is a little worrying that something like that had slipped into the full release, although I give the developer credit again for working with the community to provide a fix. Personally, I would never pick up Empathy again, but I would willingly watch someone else play it and would probably still encourage other people to try it out if they think they’re likely to understand it a bit better than me. Maybe it’s the case that Empathy: Path of Whispers fell into the wrong reviewer’s hands, or maybe it’s true that it’s not optimized well and others will encounter the same problems. I leave it to you, reader, to decide. UPDATE: The developer was kind enough to directly address some of the concerns I brought up in this review, saying that a more recent patch has fixed some of the issues. You can read their response below. Hi Monique! Developer of the game here. Thank you for your feedback, it’s definitely something for us to consider and learn from. We have recently addressed some of your critique by introducing a patch that allows users to manually save and load game from multiple slots, and improved on few other aspects of the game such as problematic spots or any possible game-breaking glitches. I’m also really sorry to hear that you found the radar mechanic to not be intuitive enough to continue playing. 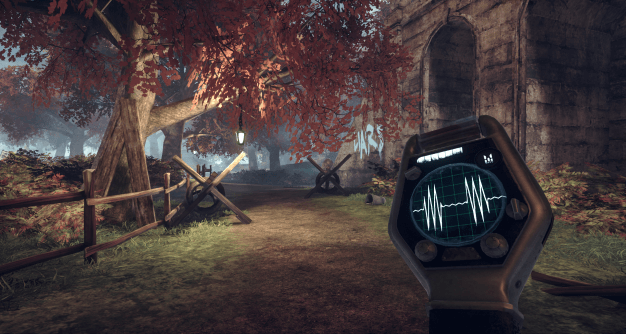 It’s really just an x-ray gadget, allowing you to see an object’s location through walls when pointing at it, and arrows showing the object’s location relative to the radar’s screen (so you know where to point the radar at). With it, you should be able to triangulate most objects’ position by looking at them from two different places if just going forward is not enough. However, as you say, it seems that radar’s usability varies too much from user to user, and it’s something we will learn from and improve on, as it should not be that frustrating!